An award-winning South African frozen specialty foods innovator and sustainability leader is poised to rapidly expand in the U.S. and other global markets with a unique differentiator. It is one of the only artisan food makers in the world that can prepare large volumes of tasty, nutritious frozen fruit and dairy desserts, as well as farm-grown appetizers, using highly skilled, hand production techniques in a state of the art facility that is close to its own agricultural ecosystem. Port Elizabeth-based Dynamic Food has won global awards – including the “Food Oscars” – recognizing its pioneering techniques for separating fruit peels, membranes and pristine segments by hand, and freezing value-add desserts. The 21-year-old firm is now the global leader in shelled fruits, and is widely hailed for having already generated more than 3,000 jobs for formerly unskilled female workers from the poorest rural communities in the Eastern Cape Province. Managing Director and Founder Manie Maritz – a SABLE Network member – says the company is creating new additions to the ready-to-eat category with a diversified line of “craft foods” (both appetizers and desserts) that are difficult to replicate and appeal to all members of the family. The company is taking advantage of the growing appetite for premium, novelty food items among millennials and socially conscious consumers who are in search of healthy, all natural, farm grown products that have an appealing brand narrative. Now, Dynamic Food is seeking to multiply its retail distribution through new and existing channels in order to triple its current U.S. footprint, and double its global turnover within three years. With no real direct competition, the outlook is good for its premium range of handmade, nutritious, frozen desserts, appetizers and tasty, natural fruit treats using South African grown lemons, pineapples, oranges, apples and bell peppers. Some of its leading brands involve self-made, low calorie fruit sorbets nestled in natural fruit shells – rather than wasteful paper or plastic packaging – and its new line of filled peppers offers a display-ready hit for supermarket delis. Already, consumers in Europe, Japan, Canada, South Korea and the U.S. are enjoying Dynamic Food products like its preservative-free Island Way Sorbet fruit shells; its cheese and hummus-filled Pebaby’s sweet picante peppers; and its award-winning Bits o’ Juice health treat – cryogenically frozen, hand-separated, “sticky free” fruit pods. With a new emphasis on marketing and retail merchandising, the company will be presenting its product innovations at Anuga Food Fair in Cologne Germany this October, and at Natural Products Expo West in Anaheim, California in March 2018. America’s Specialty Food Association (SFA) reports total sales in this grocery sector jumped 15 percent between 2014 and 2016 to $127 billion. Growth is being driven by product innovations and wider availability of specialty foods through mass-market outlets. Consumers are especially focused on specialty foods in the refrigerated sections. Categories with the biggest sales growth in this area include refrigerated juices and functional beverages (up 30.7 percent), refrigerated lunch and dinner entrees (up 33.0 percent), and yogurt and kefir (up 27.2 percent). “We realized, as a small company, that to compete with the big companies, you need to produce differentiated products that are both desired and difficult to make. Non-traditional, very labor intensive processes using the best ingredients create high entry barriers,” Maritz says. The 1,200 workers at Dynamic’s primary facility at the new Coega Industrial Development Zone outside of Port Elizabeth hand-make desserts from 10,000 tons of fruit annually; 95 percent of which are cryogenically frozen and exported. Maritz says these newly trained, previously unskilled workers use proprietary processes to carefully scoop out segments from between 100,000 and 400,000 fruit shells every day. These range from apples and oranges to lemons and small pineapples. No matter what the fruit, there is a deep care to preserve the natural segment membranes where it is needed to eliminate the “mess” of fruit consumption, and to remove them for bulk segments where certain consumers – like those in Japan who prefer neither membranes nor pith. Pathfinder products like Island Way Sorbet are already available at U.S. outlets like Costco, BJs and Smart & Final, but Maritz says he hopes to see a broader, rebranded range available at premium retailers like Whole Foods, Trader Joes and City Market in the medium term. This expansion ambition is based not only on continuous product innovation, reliable source of supply, and a proprietary production process, but also on the social responsibility and sustainability dimension Dynamic Food products represent for growers, workers, and the environmental ecosystem. Dynamic Food is also helping subsistence farmers plant virtually guaranteed crops, and benefit from off-season harvests. “We already have training programs for subsistence farmers to plant peppers: and if small farmers employ about 40 people per hectare, and we support the planting of 100 hectares, then that is 4,000 people employed for planting and for picking,” Maritz illustrates. “Better still: crops like peppers offer jobs from a summer harvest. Harvesting oranges and other citrus for our products create reliable employment in the winter and autumn, but often those laborers have no work in the summer months. However, the diversity in our portfolio means the potential for year-round employment,” Maritz adds. 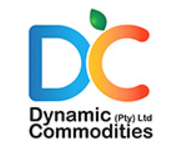 Existing customers have praised Dynamic for its foresight on user convenience for retailers and consumers, which also include international Halaal and Kosher certifications. Maritz says some advantages of being based at Coega – beyond its access to some of the world’s best fruit, and a dedicated nearby labor force – is that its brand new infrastructure means very clean water from excellent pipes. However, he supports proposals for duty-free and tax-incentivized export zones in South Africa, such as the Export Processing Zones recommended by the Center for Development and Enterprise – as described by a SABLE Network blog post here. “Florida is a good market, but New York is a fantastic market. Seattle right down to Los Angeles is great. Dallas is an excellent market, and even middle America is very good for us. So the opportunities are enormous,” Maritz enthuses.